Lately, when the phone rings, it is another OEM calling to tell us about growing demand for their products. Then they add that this is driving pressure for shorter lead times. Bloomberg News explains this recent trend in manufacturing. If shorter lead times can help you maintain loyal customers and grow market share, then this is a critical topic to address. 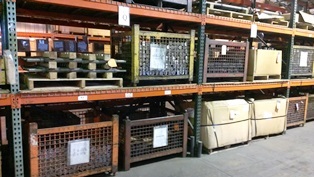 Do you use metal distribution service centers to increase your efficiency? Many manufacturers do. It is common practice to bring in exact lots of material cut to length, ready to finish for fabrication and assembly lines. Today I would like you to visualize American Friction Welding as a service center that can boost your productivity to new levels. Cut to length is just the beginning. What if you could bring in material configured as near-net shapes ready for quick finishing? With friction welding technology, raw materials can be fused together into solid geometry. 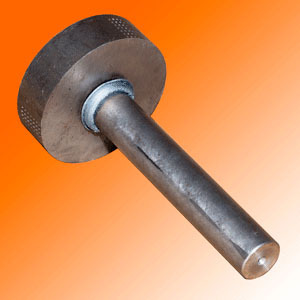 The weld zone has all the strength and machinability of parent material. This quick video shows the time and material advantage of near-net blanks. Near-net shape blanks can be made by simply joining differing size components of the same metal. You can take it further by joining castings or forgings to bar stock. Join pre-chromed, hardened, nitrided, or another processed bar to ends of your choice. In addition to the near-net shape advantage, you can work with bi-metal blanks to reduce consumption of expensive alloys. Design a blank that positions the alloy exactly where you need it, and the balance of your part can be made from mild steel. This can help reduce your exotic material spend. Another truck loading with components when the customer needs them. With planning, your parts can be staged in a kanban program ready to pull on short notice as you need them to fill orders. Many of our customers are taking the concept a step further. Moving beyond blanks, they order components stocked as finished-to-print. Those items can be pulled ready to assemble at OEM plants. This case study gives an example of a valve manufacturer that used the near-net advantage to reduce the time and material expense. They took it all the way to using a kanban program to stage finished-to-print parts. Would any element of this concept make a difference for your business? The bulletin board photo shows our ISO Quality metrics. 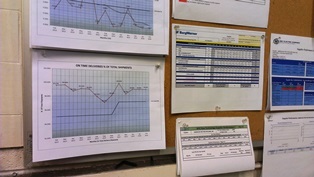 Reports are posted on this board at the center of our plant. 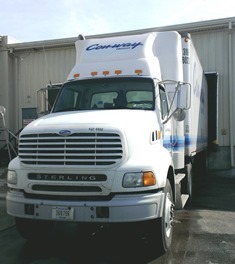 On-Time Shipment is maintained year-round above our benchmark of 97%. Previous month result is 99% on schedule. Our continuous improvement plan is always pushing results toward our goal of 100%.